Pioneers in the industry, we offer swimming pool water filtration plant, water filtration plant and ultra filtration plant from India. 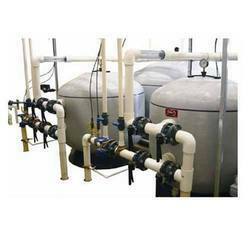 We are offering a wide range of Swimming Pool Water Filtration Plants with superb working features. They are used for remove the water impurities and make it pure for drinking purpose. Moreover, we make sure that the quality check is done with excellent finishing and zero flaws at patrons premises on time. 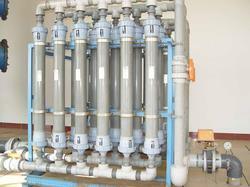 Canadian Clear have been serving the process industry in India for the last decade. The products include patented inline Conical Filters, Cartridge filter elements in various material of construction and in different Micron ratings to cover filter elements upto 01micron for micro for air. Besides ILCF Filters and Cartridge filter elements we are also reputed to be a reliable supplier of quality filter housings which are manufactured to meet quality norms laid down by organizations like Lloyd, Bureau Veritas, Davy Powergas, etc. The range of filter housings offered by us includes Standard Filter Housings in SS 316, Poly carbonate and PP as well as custom designed housings to cater to the specific requirement of the customers. Standard housings are offered in SS304, SS316 and MS (either in Epoxy painted or PP/rubber lined). In order to meet specification of Pharma industry and to meet latest GMP requirement all our housings meant for Sanitary, applications are provided with mirror finish on both, sides and are also electroplated to 240 grit finish wherever such a finish is called for. 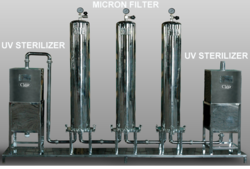 Ultra filtration (UF) is a pressure-driven barrier to suspended solids, bacteria, viruses, endotoxins and other pathogens to produce water with very high purity and low silt density. Typically, ultra filtration will remove high molecular-weight substances, colloidal materials, silt (SDI), and organic and inorganic polymeric molecules. It serves as a pretreatment for surface water, seawater and biologically treated municipal effluent before reverse osmosis and other membrane system. UF works on low pressures ( range from 1 to 10 bar). Hallow fibre or spiral wound membranes are used for the construction of UF plant.